The Ordinary is the skincare brand that is on everyone's lips at the moment. 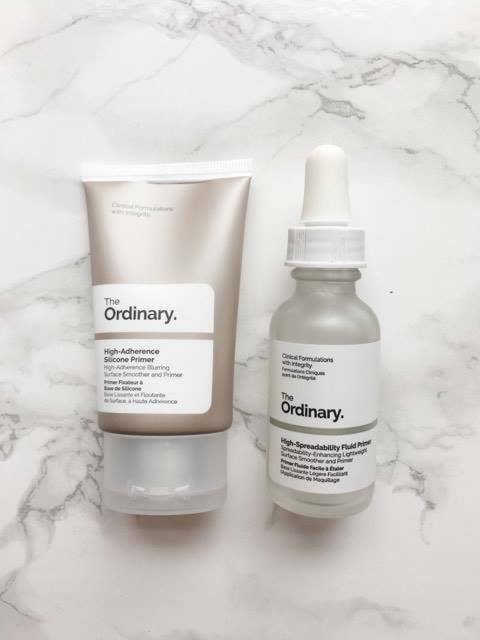 If you don't know about The Ordinary, they are a skincare brand that have stripped back all the unnecessary filler ingredients, that are normally put in products, they just use ingredients that are proven to work. It's good to note also that the brand is Cruelty free & Vegan. They currently do two silicone based primers, I picked up both of them to try out, as the brand is very inexpensive and I didn't know which one i'd like more. I always tend to use silicone primers as makeup just glides on so easily when using them. This primer uses 'silicones to act as a matte, hydrating, blurring primer for makeup that looks higher in definition and adheres for longer. It reduces the look of pores & imperfections.' I like wearing this primer on days that I feel like my skin is extra dry and I am in need of more hydration before putting on foundation. As you can see from the picture above it's got a cream-like consistency to it and is quite thick. 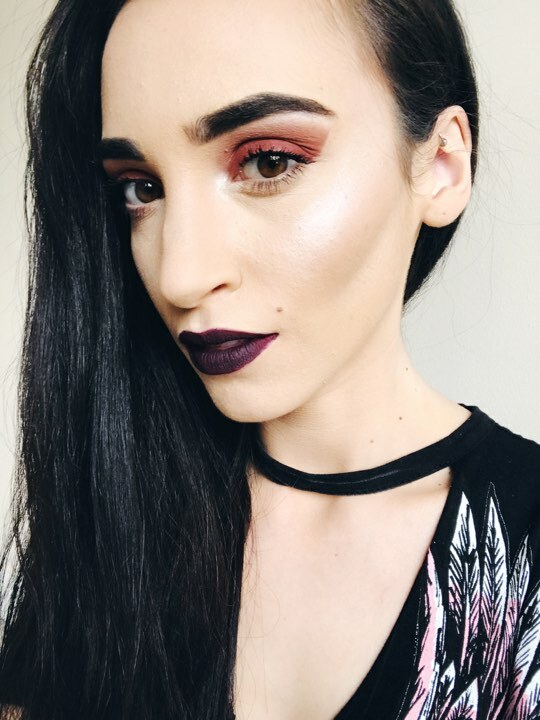 On the skin it feels like a mix between a moisturiser and a primer. It doesn't feel overly like silicone and doesn't really smell like anything either. The primer takes awhile to sink into the skin, it does feel very hydrating and drys down to a matte. Last time I wore this primer I had no problems with my makeup after 8 hours which is shocking as the primer is under £4!!! This primer has ' a lightweight serum-like formula that increases the spreadability of subsequent complexion makeup to help avoid the unnatural and uneven accumulation of pigments especially around the eyes and on dry skin.' If you like silicone primers that feel velvety on the skin and act as a layer so makeup can sit on top of it, then this is this is the primer for you! I think I prefer using this primer as it doesn't dry down matte. This makes makeup glide on easily and look flawless. The dropper that it comes with is great as I tend to drop a couple drops on my fingers, rub my hands together then apply to my face. I wear this primer for 8+ hours and my face still looks pretty great still. I love these products, they both come in under a tenner which is great value for money. I really recommend trying these primers out if you like silicone based primers. If you want a hydrating, pore minimising product go for the High-Adherence primer and if you prefer one that is more silicone go for the High-Spreadability one. I'm already half way through the High-Spreadability bottle and will be repurchasing it as it's one of my fave ever primers i've used. I'll also be repurchasing the more hydrating one as it's a great base for makeup as it gives a lot of hydration to skin. 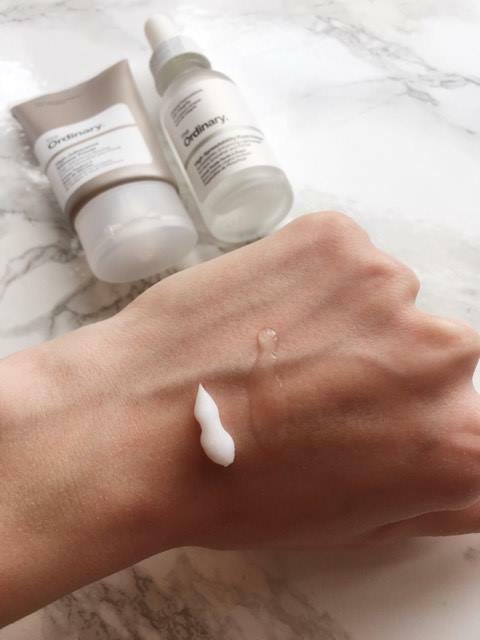 I've got my eye on a couple of other skincare bits from The Ordinary and also one of their foundations so you'll probs see another post on the Ordinary some time in the future. Let me know what primers you have been using lately? Thank you for this review, really think I might have to give these a try! I've never tried anything from The Ordinary so maybe these would be a good start!